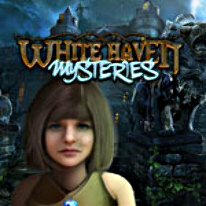 Unravel the mystery of White Haven. Imagine waking up- with no idea who you are- in an abandoned building. You have been drugged by a man who taunts you with his experiments, haunting your every step. Explore eerie scenes and test your wits in this nail-biting hidden object thriller. It’s up to you to find the antidote...before it’s too late.